This morning’s optional excursion to the Blue Lagoon needs to be pre-purchased via our website and is not available locally. 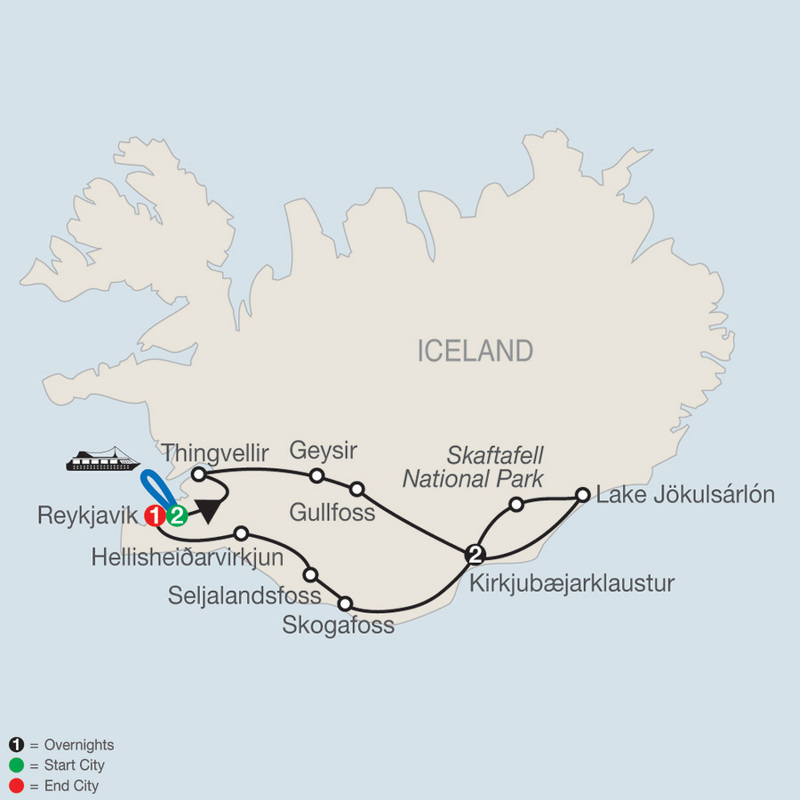 This evening, an excursion by coach to see the Northern Lights (weather permitting). Drive through the national park at Skaftafell and stop at Lake Jökulsárlón, where some of the most spectacular scenes of the James Bond movie Die Another Day were filmed. Watch how the largest glacier in Europe, Vatnajökull, flows into the lake, forming icebergs.